Bada bing, bada banned. 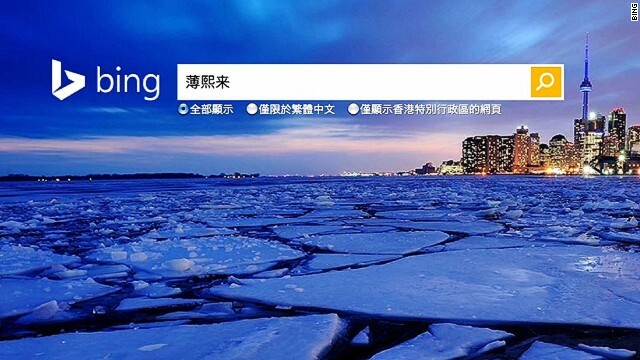 China has blocked Bing, Microsoft's search engine, tonight. Bing.com is not accessible inside China, per reports throughout the country. The FT's @YuanfenYang reports that Bing was blocked throughout China following a government order. She cites two sources familiar with the matter. “This kind of DNS corruption is usually the very literal way in which the Chinese govt tells foreign tech companies to 'go home',” tweeted Yuan Yang. On Wednesday, mainland Chinese users wrote on social media that their attempts to access Bing’s China site, cn.bing.com, were failing. Cn.bing.com is still accessible from outside of China. Microsoft said that it was investigating the situation. Two sources familiar with the government order confirmed that Bing had been blocked. One of the sources explained that China Unicom, one of China’s major state-owned telecoms companies, had confirmed the government had ordered a block on Bing. Attempts to access cn.bing.com resulted in a connection error. The connection error was caused by an inability for the Chinese nameservers — address books that match up website names to their digital locations — to correctly retrieve the IP address of Bing’s China platform. This form of nameserver corruption has been often used by the Chinese government to block platforms. According to website visit tracker StatCounter, as of December 2018 Bing held a 2 per cent market share in China, far behind Chinese industry leader Baidu with 70 per cent. So as best I can tell, now that Bing appears to be blocked in China, the only English-language search engines still accessible to Chinese Internet users are Gibiru (which prides itself on indexing information on chemtrails and the like) and Yandex, the Russian search engine.